Congenital anomalies occur in infants and warrant surgical correction. of those Dr. Wilson treated. The best results are obtained by the very early treatment of these anomalies, so that they grow with the infant after being repaired. 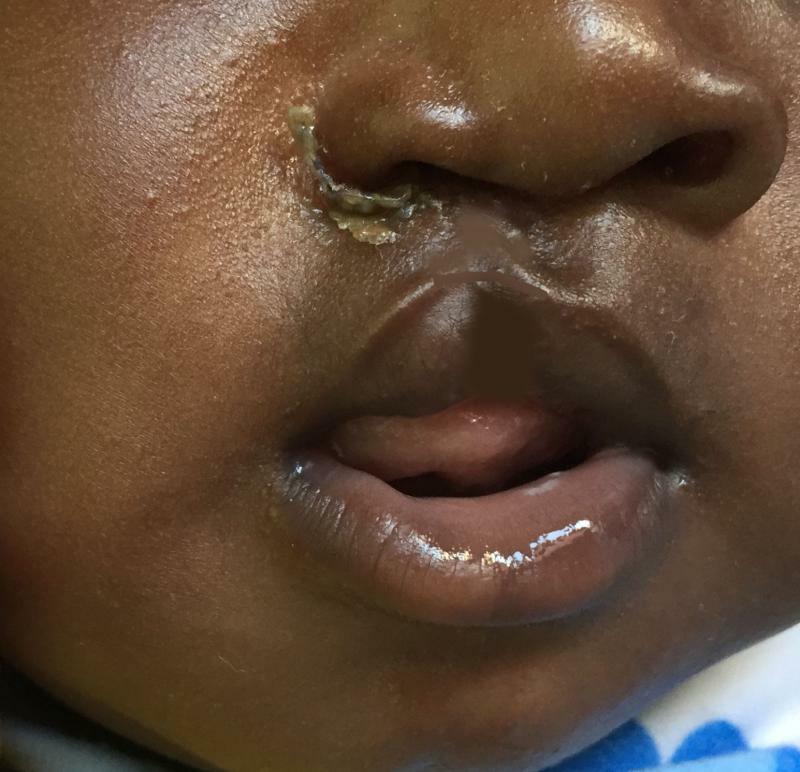 In addition, the earlier the treatment the more inconspicuous the resulting scar, so much so that Dr. Wilson repairs clefts of the lip at an age of 7 days! There is a wide range of congenital anomalies, and Dr. Wilson enjoys tackling the challenge offered by each individual situation. Upper lip Hemangioma: Treated by excision and lip reconstruction in a 6 month old infant. Lower photograph shows his lip at 3 years of age. 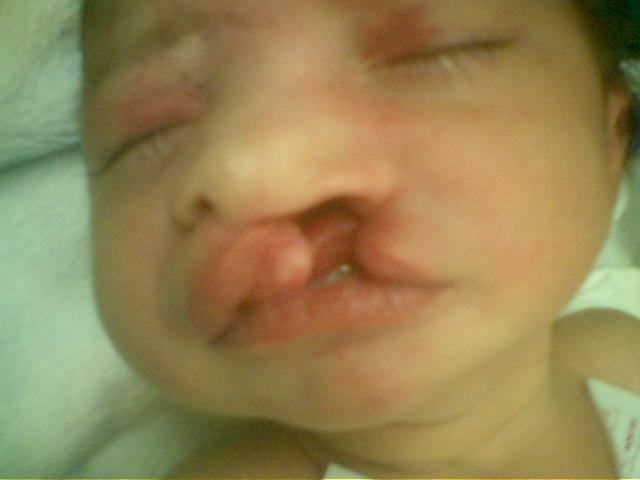 Complete Unilateral Cleft Lip and palate and Nose: Lip was repaired when infant was 4 weeks old. Extensive Complete Bilateral Cleft Lip and Palate: Repaired in 2 sessions, first one when he was 2 weeks old, and second when he was 3 months old. Note repositioning of the lip and restoration of oral contour when he was 9 months old (2nd picture). Complete Unilateral Cleft Lip Nose: Repaired with nose in 2 sessions, first one when she was 2 weeks old, and second when she was 3 years old. InComplete Unilateral Cleft Lip: Repaired with nose in 1 sessions when patient was 2 weeks old. Cleft Lip Nose: Residual asymmetry of the nose was repaired by cartilage grafts in this 22-year old patient with late presentation. Upper lip Nevus on the right side: A 16 year old female had this nevus surgically excised and defect reconstructed. Nevus on the left nasal bridge: Excised and reconstructed by an island forehead flap in an 8 year old boy. Congenital Deformed Hand with misplaced Ring finger and Syndactyly: This 3 month old infant had this enlarged misplaced ring finger, constriction bands, and syndactyly fully corrected and fingers alligned perfectly. The surgery was done at an early age to restore shape and function.